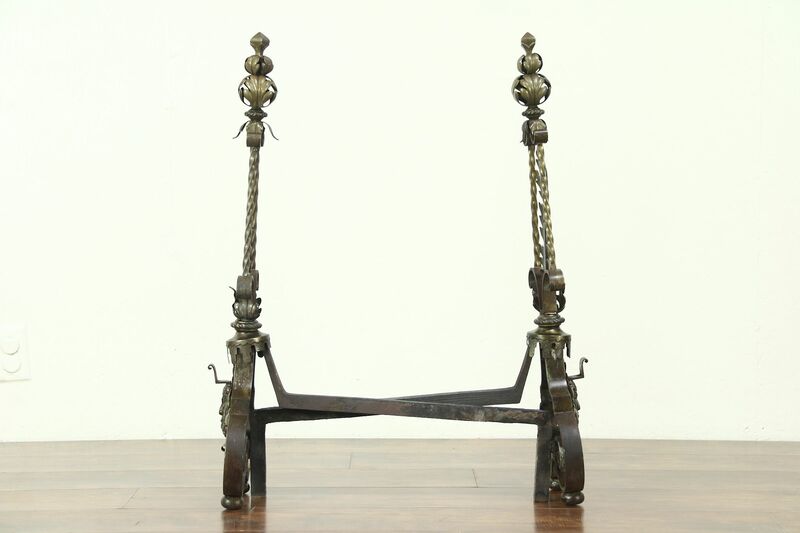 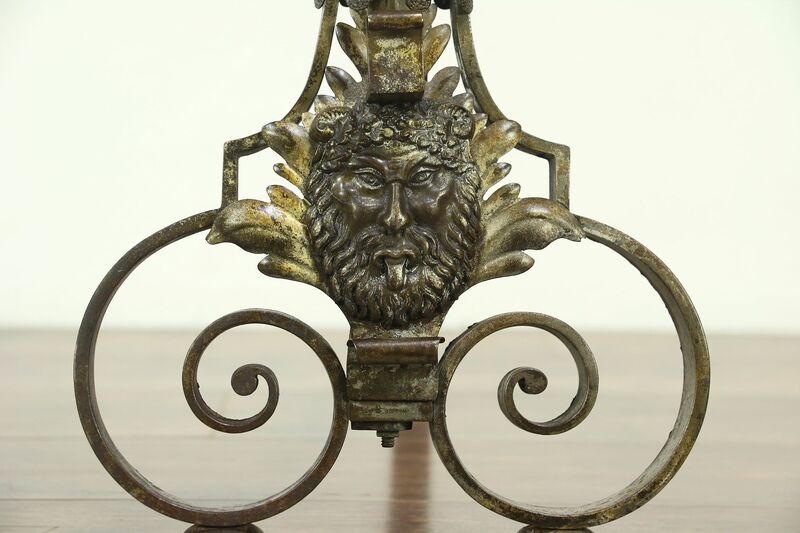 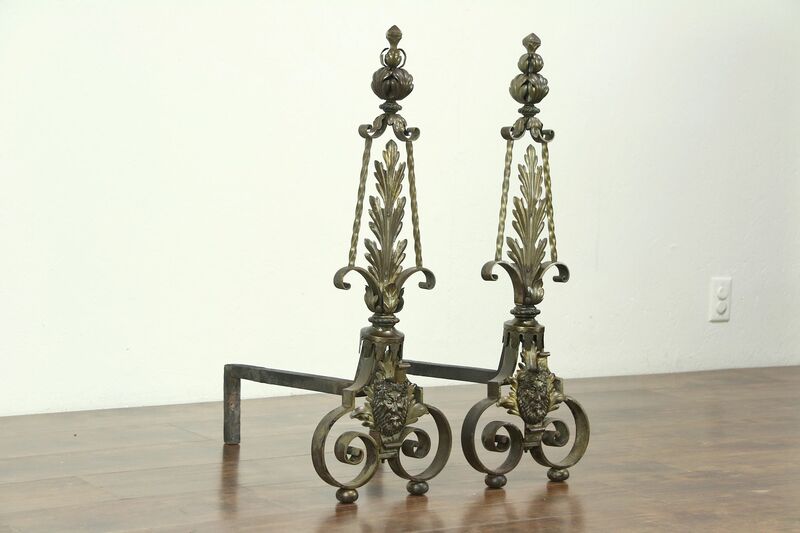 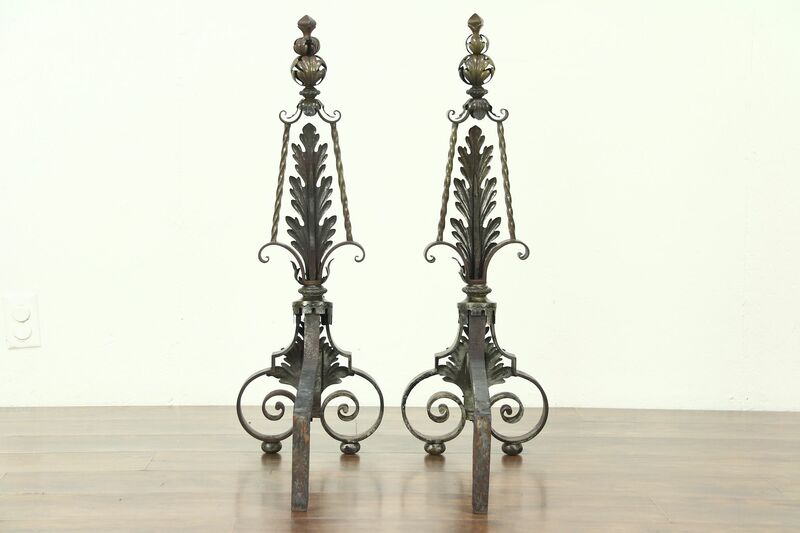 Hand wrought about 1900, a pair of fireplace andirons have a leaf motif. 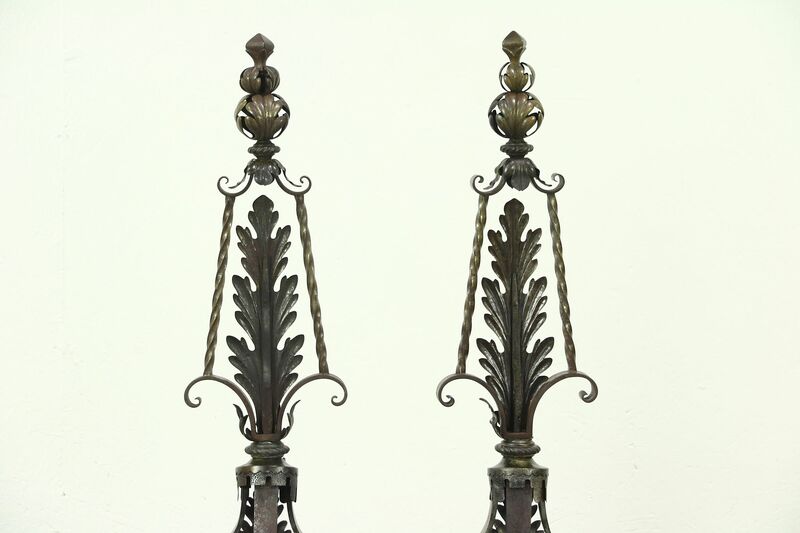 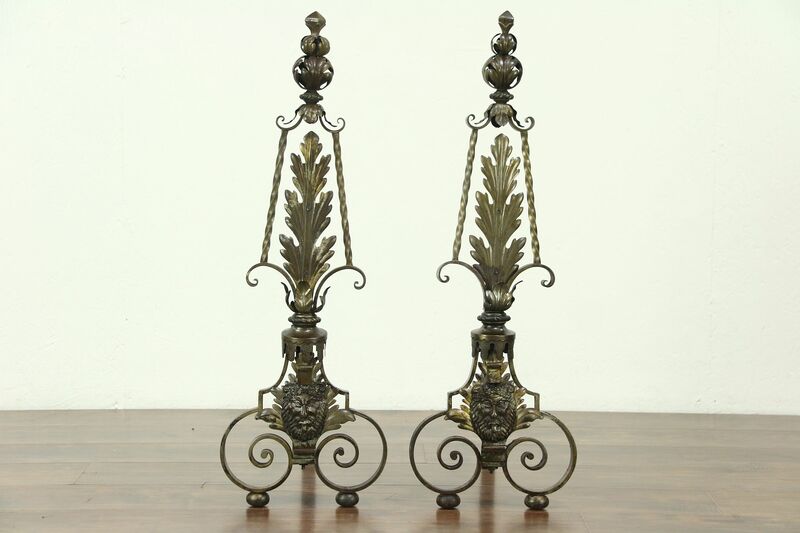 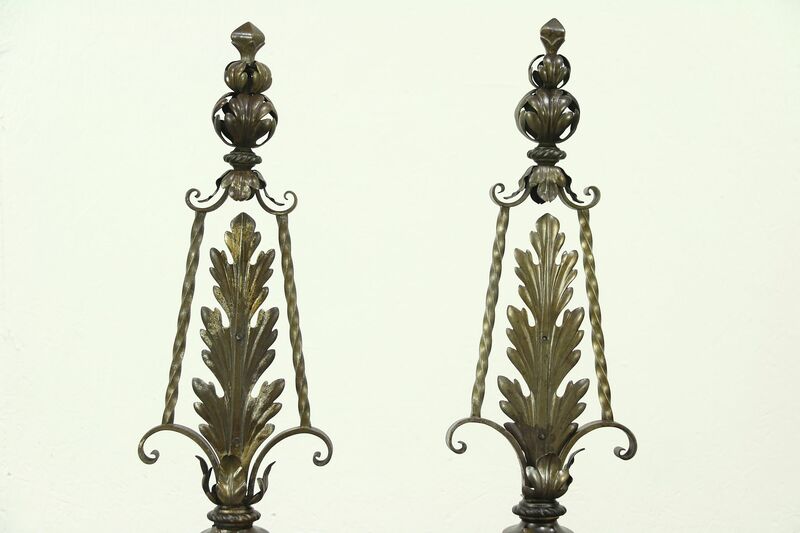 The natural iron finish has been lacquered for preservation on these American made antique hearth accessories. 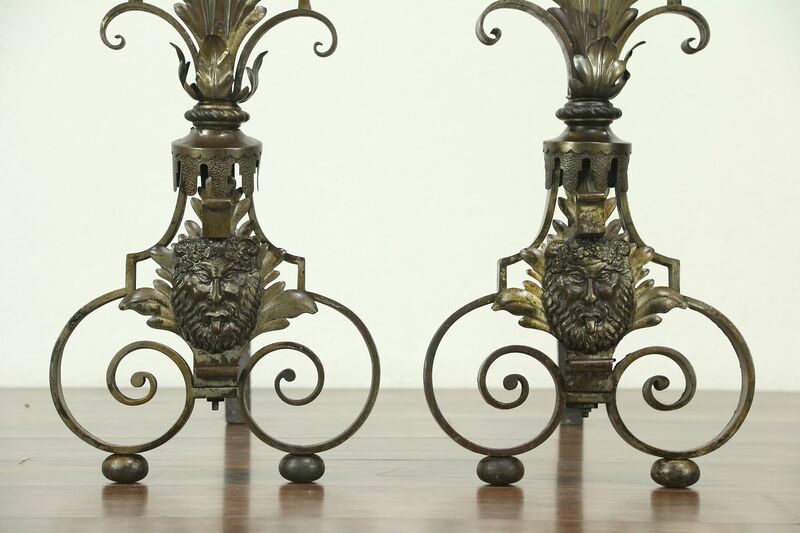 Size is 11" wide, 23" deep and 32" tall.